The Daily Face | Beauty, Fashion & Lifestyle! Did you know that this month is national strawberry month….no neither did I! 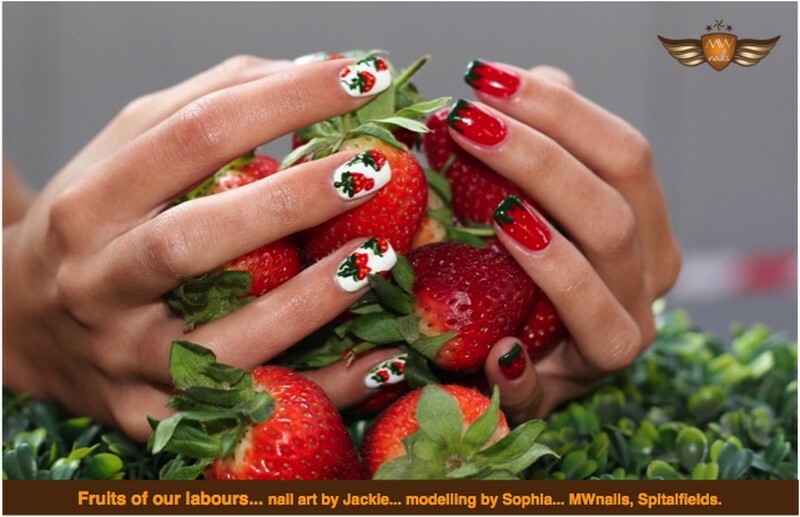 To celebrate this lovely fruit, new nail salon, MW nails based in Spitalfields or Chancery Lane, is offering a complimentary ‘berryfied’ finger when you quote ‘Berry- Nice’ uopn booking a manicure or pedicure! I love these designs…they are so cute and I would be so tempted to have the whole 10 fingers done! 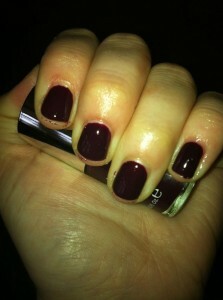 Prices start at for a £12 for a file and paint and at £29 for a pedicure, so get booking and get berried! Call MW nails on 0207 247 0288 to book and remember to quote ‘Berry nice’ to get the nail art on 1 finger. This week on the daily face…. The sun is on it’s way I hear….just a few more days! This week on the daily face, i’ll be writing about one of the fabulous ‘Jo Loves’ fragrances from Jo Malone….yes, Jo herself is back in business creating her beautiful signature scents for fragrance lovers! You can also get yourself a Louboutin tatt’ to pay homage to the shoe god and i’ll be writing about some of the Weleda creamy bath washes- a steal price wise, and these are so nourishing! Don’t forget to send via twitter or e mail your mani’s of the week in too if you think you’ve got a stunning set of fingers to show off! Posted in This Week	| Comments Off on This week on the daily face…. I am LOVING this super cool Minx nails design from Australian fashion week, vey kindly sent to me by Janice Miller, PR director of minx nails. Minx Nails for 'Blessed is the Meek' Spring/Summer 2013 collection. 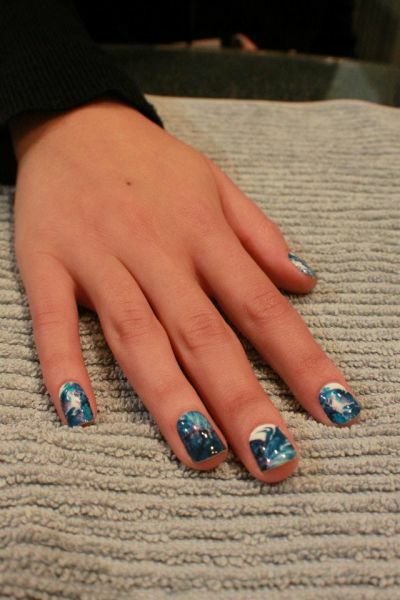 These nails were showcased at ‘Blessed is the Meek’ S/S13 catwalk and were designed by Peter Lykissas, Australian nail guru. So wanna rock these out and about in the summer…. As usual, when there’s a big blockbuster movie to hit the screens, OPI come up with a fantastic fun collection to run alongside. We’ve had fun greens from the Shrek collection and amazing glitters from the muppets…now it’s time for the Spiderman shades. There are 6 colours and an AMAZING shatter topcoat in the collection. All of the shades are lovely, think iridescent scales and you’re along the right lines. My top shades from this collection are ‘Into the Night’, an indigo midnight blue and ‘Just Spotted the Lizard’. and of course the shatter, ‘Shatter the scales’! 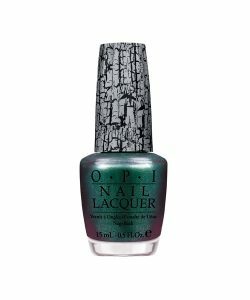 If you missed out on the Chanel OPI peridot shade, you should definitely pick up ‘Just Spotted the Lizard’- it’s a fab match. Available NOW from Colourcopia in Westfield Stratford and online at Lena White. After running into Space NK on the way to work a couple of weeks ago (it must have been one last minute present/make up emergency visit), I came across this little wonder for Oribe. I have looked at the Oribe products in Space quite a few times, meaning to always try them and never getting around to it. They are coveted by mags such as Harpers Bazaar for being some of the most luxurious haircare products about. I do love a bit of dry shampoo, it certainly saves me on last minute emergencies quite frequently, but I do hate the way some brands can occasionally collect in the roots of my hair and sometimes leave it a bit flat as the cleaning agent in it is white and talc based. 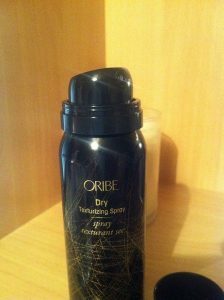 This texturising spray from Oribe is fab! Not strictly a dry shampoo, but an alternative, It has a wonderful, less artificial scent to it than some of the dry shampoo brands out there. The ingredients which give it this lovely scent are Passionflower and Mango and there are patented polymers which absorb oil at the roots. Whats more, is that this texturising spray is colourless and best of all for me- it texturises your hair too, as usually when your hair needs a little pick me up, it’s pretty flat. Using this really roughed up my ends, and gave me that bed head look again I like. I am slightly converted to this at the moment. It’s pricer than a lot of the other dry shampoo’s on the market but it’s not just a dry shampoo to me and you can definitely tell quality wise, that you’re paying for something more expensive. I will definitely look at trying some of their other products in the future. 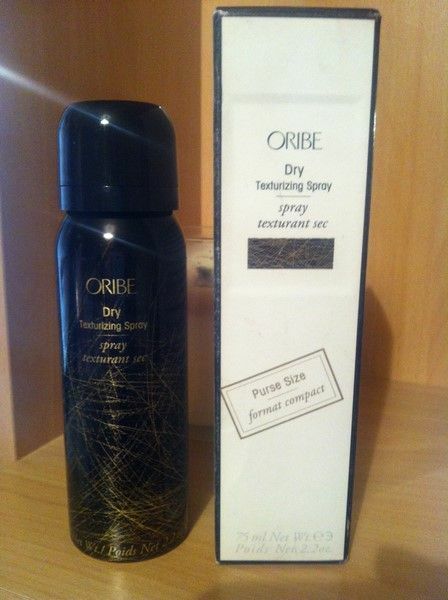 Price: £18.00 (for a purse sized spray- the one pictured here) or £38 for a full sized can. 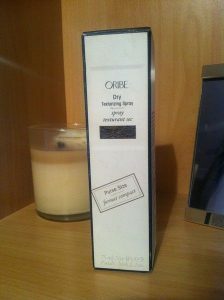 Available from: Space NK stores and online. 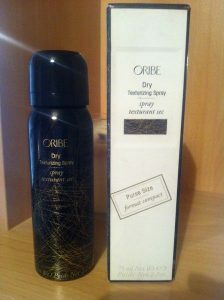 Have you tried any Oribe haircare products? If so, what ones and what did you think? The weathers a little brighter- well at least this morning it is…. Have you bought any new cosmetics from the high street you’re loving lately? Tell me about them, I’d love to hear what you’ve been rating. Posted in Uncategorized	| Comments Off on This week on The Daily Face…. 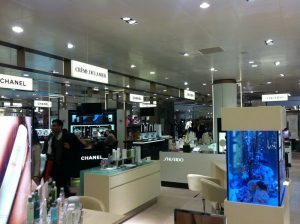 Last Thursday saw the launch of John Lewis’ beauty hall in Oxford Street. 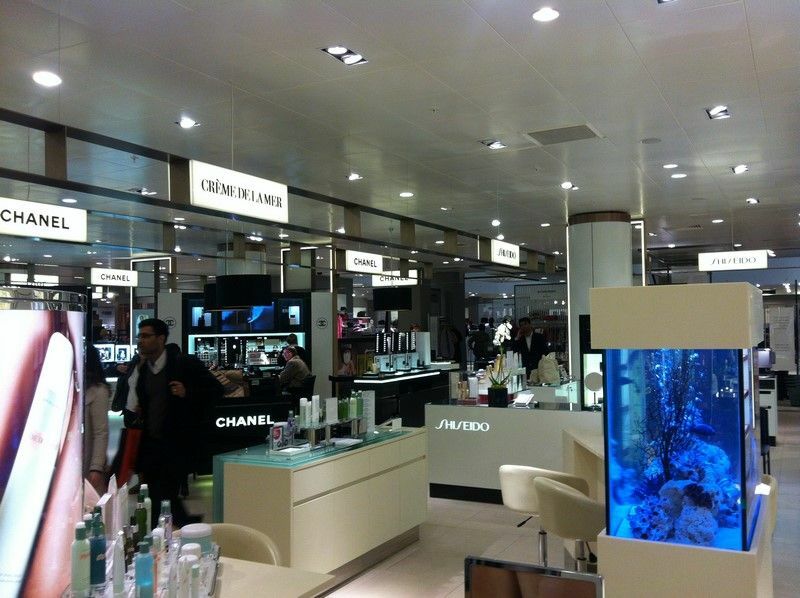 What a beauty hall it is…..there have been lots of new additions from brands like Jo Malone, which I am very excited about seeing in there and also Topshop make up. Bobbi Brown is also sporting a massive counter and you can still get all your nifty touch ups like brow threading done in there too. 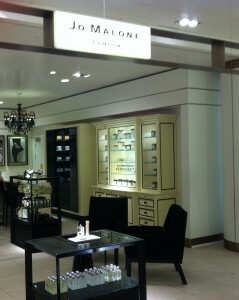 Jo Malone- a new but exciting addition to the new beauty hall! After this re vamp, reportedly costing around the £7 million mark, this now makes the John Lewis beauty hall the 5th largest in Europe. 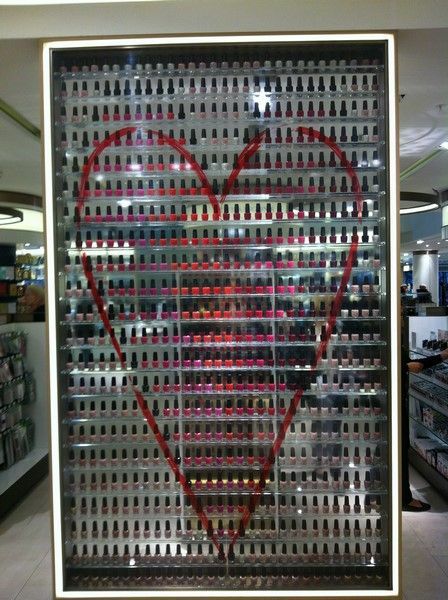 An awesome OPI nail stand- nail art NOT on the nail! All of the premium brands are located in ‘houses’ around the department and then you have your smaller, more reasonably priced ranges in the middle. It’s a fab hall to walk around- it now feels light and airy and all of the staff so far there have been bright, cheery and attentive. 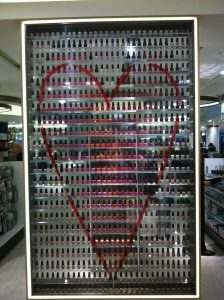 Money well spent John Lewis! I love your new space and will definitely be making the extra few hundred metre hurdle up Oxford Street to restock on things! High technology, anti ageing, luxury skincare brand, Carita have recently revamped their foundations which are all suitable to use straight after a facial, and along with it have bought out this nifty little bronzer. 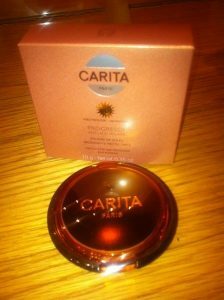 I must say, when I heard that Carita were bringing out a bronzer, I was a little worried. Only because I wasn’t sure if they would be able to make a make up product as well as their skincare. 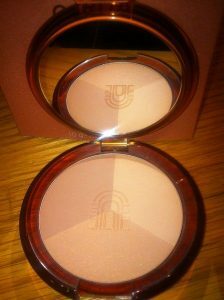 I needn’t have worried though as this bronzer is really lovely. The real gem of it is that it’s actually a cross between a make up and a treatment powder. The key ingredients are Chaulmoogra oil combined with Sweet orange extract. These help to promote and prolong a tan. 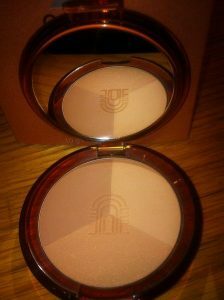 The bronzer is a tri-colour one, the tones a little similar I think to Guerlain’s bronzer for Blondes. The powders are really well milled and the pigment is great. The finish is generally matte, although one of the hues has a slight satin finish to it. Bronzer in a darker light. The bottom colour is the satin finish. The bronzer also carries an SPF 10 so will give a slight protection to people who don’t really wear any foundation or tinted mosituriser. I will stress though, that in the summer SPF 10 is not an adequate protection to wear to prevent sun damage! The bronzer in a lighter light. The product also looks great, with a real retro 1970’s glossy feel to it! This weeks MOTW come from Claire….as she, like most of us, has given up on some sunshine she’s gone for a more autumnal shade with Nails Inc shade, Wilton Row. I’m loving this- very chic! 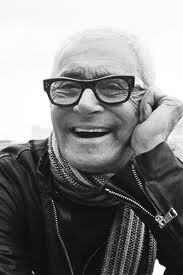 I was so sad to hear of the passing of Vidal Sassoon this evening. At 84 years of age, he died peacefully at home in LA, with his wife Ronnie by his side. I think that Vidal had been unwell for a long time, but this was always something he and his wife were very private about and from what I can gather, Vidal wasn’t the sort of person to want unnessacary fuss. 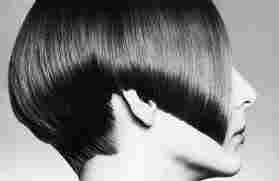 Vidal Sassoon was born in 1928 to Jewish parents. He spent most of his childhood growing up in an orphanage where his mother had been forced to put him and his brother when she was left by their father, and struggled to afford to keep the family going. During World War Two he was evacuated to Wiltshire and upon his return to London, he left school at 14 and started a hairdressing apprenticeship. Vidal trained under the watchful eyes of Raymond Bessone, who’s salon was based in Mayfair. He then went on to open his first salon in 1954. Vidal was really the man who made hairdressing not a necessity but something women chose to do to keep up with fashion. Gone were hairstyles that were ‘set’ and meant to last for a week. He was the creator of the ‘wash and wear’ hairstyle, the geometric perm, the Nancy Kwan hairstyles and most famously the ‘bob’. 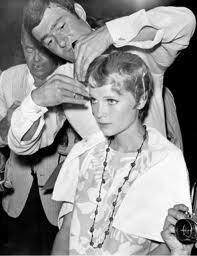 Vidal made hairdressing ‘celebrity’ and one of his most famous jobs was being rushed onto the set of Roman Polanski’s film – Rosemary’s Baby, and cutting Mia Farrow’s hair into her iconic crop. He didn’t like to use product in the hair and relied purely on the health of his clients hair to get the best from his cuts. Vidal was also the first hairdresser to create his own line of products, which are still sold today, although he sold the company out to Proctor and Gamble – the iconic slogan “if you don’t look good- we don’t look good” blazoned across the bottles. One of the best things I watched last year was the film documentary about his life, Sassoon the movie. If you haven’t seen it, I urge you to watch it- Vidal was such a determined, hard working man, stubborn and possibly difficult to work with at times, but he knew what he wanted and how he was going to get it. Vidal cutting MIa Farrows' hair on the set of Rosemary's baby. An iconic cut.